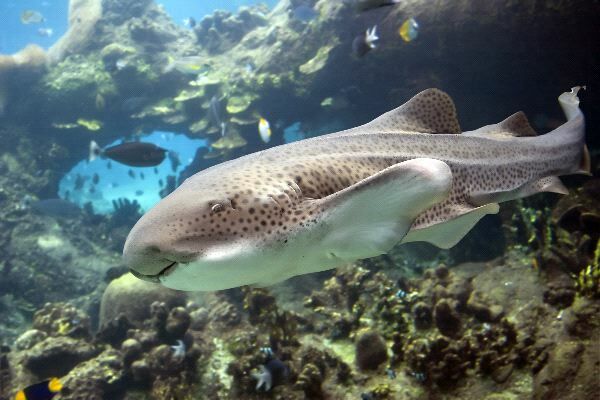 Sharks are mainly found living in saltwater around the world. However, there are a few species that can live in freshwater. The Bull Shark and the River Shark have been found to be able to live in both freshwater and saltwater. This is very interesting as it means they have a better chance of overall survival since they can adapt in such a manner to their environment. Bull Sharks are often only limited by dams and other resources that prevent them from continuing their journey into various bodies of water. The majority of sharks live in the deeper water which is why you don’t often see them. They can live as deep as 6,600 feet in some locations. Larger species of sharks tend to live deeper in the water where they can feed through a filtering system. The depth of where they live also depends on the time of year and the temperature of the water. It is often assumed that sharks only live in the moderate temperatures of water. While it is true that many species prefer the tropical waters, that isn’t the only place you will find them. Some species including the Sleeper Sharks live in the very chilly waters of the Artic all year long. There are species of sharks that migrate periodically but it is very hard to track them. Their migration patterns depend on food, climate, and even stress in their environment. A few sharks that have been tagged though are identified as easily swimming thousands of miles in just a few short months. Females tend to migrate more, and that has to do with mating and the birth of their young. Females tend to move towards the shallower waters when it is time for them to give birth. This is a key indicator to many experts that such a phenomenal experience is about to take place. The idea is for them to give birth in a location where there is the least risk of predators so that the young have the highest chances of survival. Sharks often move around in the water, which is referred to as cruising. They move around a large vicinity to look for food. They usually are moving at a slow speed of about 5 mile per hour. However, when they feel they are in danger they can move up to 12 miles per hour for short periods of time. 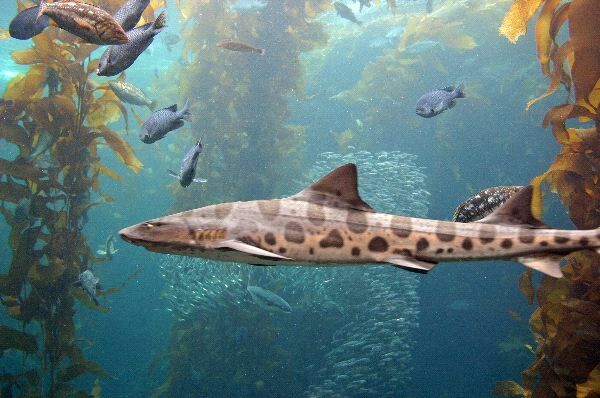 As the natural habitat for sharks continues to be threatened by pollution, commercial fishing, and other factors, they tend to be found in places they never were before. This is why there have be confirmed sightings of sharks in beaches and other places that they never were before. They are simply following food sources and doing all they can to survive in spite of barriers that humans and nature have created for them. Overfishing of the areas where sharks live continue to be a huge problem. Many of the species don’t reproduce until they are at least 10 years old, for some it is up to 30 years. With high volumes of fishing though many of these sharks never reach that age of maturity. Today they loss of habitat continues to be a problem for conservation efforts for sharks. Many people see a solution for sharks is to have them in captivity. Then they can’t harm people but they can still thrive. However, sharks don’t do well in a captive state and most die soon after being placed there. They won’t eat or reproduce and problems with depression and aggression occur. It is very hard to replicate their natural environment and the risk of parasites and other diseases is very great.